Blogging has given a new dimension to my cooking.Earlier,it was just regular cooking and maybe once in a while,during the weekend or so,I prepared something special,but thats it.Now,if I want to prepare something special,I just have to search the blog world and Lo Behold! !I am presented with so many ideas that I get confused.Sometimes,I find myself preparing certain dishes only for the blog and sometimes I cook keeping the events in mind.I have found out that I am very patient too,for a person who couldn't care for anything in the world while presented with a dessert bowl,I have become much more patient.I make sure I have taken proper snaps before gobbling it up.Why only desserts..anything and everything is first photographed then eaten! !Hubby has also started asking whether I have taken pictures before touching his food,poor thing!! If not for blogging,I don't think I would have ever cooked this,this or this.Somehow,I feel much more confident now.Especially when I try dishes from your blogs,I feel it has already passed the test and there won't be any mishap.I feel great to be trying something which has been tried and tested in your kitchens. So let me present today,yummilicious dishes I have prepared from your blogs!! Shilpa's Nankatayi - I've been bit by the baking bug and I am loving it! !First it was cakes and now cookies.I have decided to move to healthier alternatives and am thinking of baked dishes and grilling next.But for now my version of Nankatayi.It was yummy,but somehow I didn't get the milky white colour.I think I baked a tad too little more than the specified time,but they were delicious nonetheless!! Shilpa's Simple egg cake - Another one of Shilpa's masterpieces.The first cake that I ever tried making was her Dates cake and needless to say its a super duper hit.I recently tried her simple egg cake and as usual it came out great.I tried it in my MW using the convection mode.It was over the moment it came out of the oven.So I couldn't take pictures of the slice as it got crumbled badly.We loved it and I am definitely gonna make this again. Srivalli's Ulli Sambhar - Now,I don't think I need to give any introduction to our dear blogging queen.I am always amazed at her creativity and her passion for blogging.She blogs daily and its a treat for all of us.Do check out her Dosa Mela,Roti Mela and MEC cooking series.Also,Curry mela is going on right now and check out her Food blog list too.I tried her Ulli sambhar with idli and it was superb.Three cheers to you Valli!! Raaga's Bread pudding - I first came upon Raaga's blog when I saw her blog feature in Hindu's Foodbytes.I had seen her blog before but started following it religiously after the feature.I like her style of blogging-bindaas and no frills.She gives a clear cut picture of the dish and the recipe and she makes the most difficult of recipes sound child's play.Been thinking of making this pudding,the day it was published but never got the chance.Me and hubby are both bread fans and we like eating our bread plain,toasted,with butter/jam or bread usli.Finally chanced upon some bread slices and made this pronto.Only difference is,I made it in the MW. Sailu's Tutti Frutti cookies - Sailu has done blogging easier for all of us with TOI.I think its a brilliant idea and hats off to her for coming up with it.I tried out her Tutti frutti cookies and they came out excellent.I made one batch and gave it to hubby's friends-they couldn't believe it was home made,all thanks to you Sailu.Again,my cookies didn't look as pretty as hers and I didn't get the required colour,but still I am very happy that I tried and came across such a yummy recipe. Thank you all of you my blogger friends..!!! Wow!Divya..you seem to blog everyday :)..and trying out recipes form fellow bloggers too!..Great going, girl! 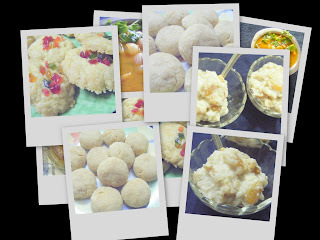 wooo..u tried so much recipe divya...looks awsome and delicious pic.. Very delicious recipes you had tried. nice array of dishes..everthing looks yummy and beautiful!! Wonderful Divya,They all are great.It is true Blogging has changed my life too.I enjoy every moment of this esp interacting with like minded people. nice post everything is lookin good,..
Good that you found time to cook from other blogs girl. I need to find time to clear my bookmarks sometime soon. I was just bookmarking all the wonderful recipes, never found time. Will have to do it sometime soon. U ve a great taste :) All those sweet items are delectable ! Good effort... Nice collection of tried recipes from other blogs. Divya, thanks for your sweet words..glad that you tried and liked..my pleasure! I am such a bad girl... came here to see if you'd made anything from my blog :-) and you didn't disappoint me at all :-) great dishes. wow..u have made so many dishes!a lot of patience!! Ah, welcome to the obsessive world of blogging! 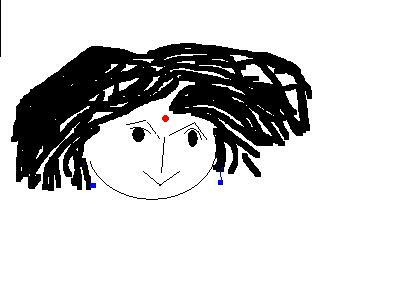 And Blogging Queen - :) Very apt. Bharathy..thank you so much dear! !Shall collect my awards and brag about it soon..!! Pearlsofeast..thanks.You are right,bloggin has really changed my outlook to cooking!! Hima..thanks.Its been a long time since I was thinking of compiling it all together,now it sounds like fun,my next part is on its way-from your blogs#2!! Srivalli..thanks to you,I have a wonderful,keeper recipe!! Raaga..thank you.Your dish will feature in the next part too! !